"Everybody loved him... Everybody disappeared." “Jerry Maquire” is a romantic comedy set in the world of sports. This film was nominated for several Academy Awards, including Best Picture. Cameron Crowe wrote and directed this critically acclaimed movie. The film stars Tom Cruise as the title character. He is a big time sports agent. While Cruise is doing a voice over introduction we see Jerry dealing with several of his professional clients including a football player being accused of a crime and a hockey player who is hospitalized with a concussion. We see Jerry at a sports agent conference. Late at night, in his hotel room Jerry has a nervous breakdown. He has a battle with his conscious, and writes a mission statement declaring that they needed to change the way that sports agents work. He makes late night copies of the mission statement and distributes it to all of the other agents. His mission statement appears to be well received and he gets an ovation when he gets to the hotel lobby. Upon returning home Jerry realizes the consequences of his words. One of his fellow agents, Bob Sugar, is sent to fire Jerry from his agency. Bob and Jerry both return to the office and try to call all of Jerry’s clients to try and secure their services. Jerry is able to get a commitment from only one client; football player Rod Tidwell. Rod will be a free agent next season and he trusts Jerry to get him a deal to stay in his hometown. Jerry hires a former secretary from his previous agency Dorothy Boyd. After breaking up with his fiancé, Jerry becomes infatuated with Dorothy who is a struggling single mother. A romance blooms but is Jerry just anxious to find some security. Jerry fights to sign a college prospect and try to settle down with Dorothy. Jerry’s success depends on Rod’s ability to show that he is worth the big free agent dollars in a season ending Monday Night Football game. 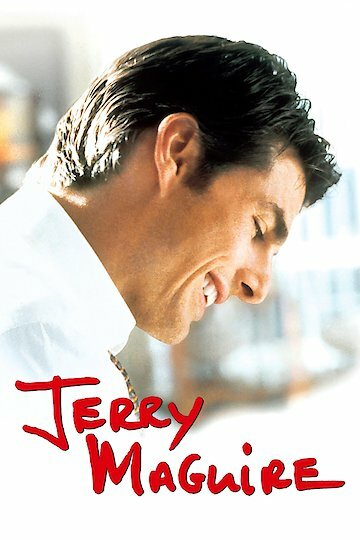 Jerry Maguire is currently available to watch and stream, buy on demand at Amazon, Vudu, Google Play, FandangoNow, iTunes, YouTube VOD online. A warrant is out for the arrest of Cuba Gooding Jr. after the Oscar-winning actor allegedly shoved a female bartender in a late-night altercation in New Orleans. Get the details here.